What software does ePortfolios use? ePortfolio runs on WordPress. WordPress is a state-of-the-art, open source, semantic personal publishing platform with a focus on aesthetics, web standards, and usability. Often associated with a blog, WordPress is much more than a blog- it is a simple and easy-to-use web publishing platform that can allow you to build a web presence with little or no fuss! ePortfolios are running a WordPress Multi-user installation which allows students to quickly customize their own web publishing space. The limit is 500MB per blog but we can move this up by request. How do I password protect a specific website page or post? *Note: we advise against password protecting sections of a public site because it can be frustrating to professors and potential employers who wish to evaluate samples of your work. Besides setting the visibility of your entire ePortfolio, you also have the option of customizing privacy for individual pages. They are set to “Public” by default, which corresponds to the level to which you have set your entire site. However, if you are creating a page that you would like to be even more private than the rest of your ePortfolio, you can do so by choosing either ‘Private’ or ‘Password Protected’. ‘Private’ hides the page completely from the user, while ‘Password Protected’ prompts the user to enter a password when attempting to access the page. As you can see in the image below, if you choose to make the page password-protected, you are immediately prompted to enter a password for the page. Please see Privacy and Security FAQs below. How long will the my ePortfolio website exist? Meaning, once a student graduates, will they still have access to the blogs they created? In the event that service limits are established, all users will be notified of the changes in service provision in advance of their inauguration. How do I change privacy settings for an individual website page or post? This option is found in the left column of every page and post. On the edit post page, look for “visibility” in the Publish box on the right-hand side. Then click “Update” for the entire page or post. How do I change my privacy settings for my entire ePortfolio website? The privacy settings on CapU ePortfolios manage your ePortfolio’s visibility online. You can set the level of visibility depending on what scope of audience you feel comfortable with, whether that includes the general public or only a few members of the Capilano University community. Levels 1 and 2, if chosen, make your site public. Anyone on the internet can view your ePortfolio, but choosing between the two dictates how users gain access: the first will allow a user to find your ePortfolio by using a search engine; the second will make your site unsearchable, but if a user knows the website address, they will have open access to it. Levels 3, 4 and 5 make your site private, to varying degrees. Given that your ePortfolio is created through the CapU ePortfolios platform, this means that CapU ePortfolios is the ‘network’ for your site; thus, choosing level 3 allows anyone registered with CapU ePortfolios to access your ePortfolio. To make accessibility more selective, you can choose either level 4 or 5, which will grant only certain CapU accounts access to your site (for the former, subscribers, and the latter, administrators). To set up these lists, you must go to Users > Add New, enter the email addresses of the users who need access (these addresses need to be connected to their CapU accounts), select their “Role” (either Subscriber or Administrator), and then send the invitations. *Note: making a user an administrator will give the user the ability to edit your ePortfolio in the same capacity as you. So, only use level 5 if the people who need access are the same who need to have full editing privileges to your site. Before your ePortfolio is ready to be published, you can keep it private by choosing level 5. Click on the Reading link under the Settings tab on the left-hand side of the dashboard. From here, click on one of the five options for controlling external access to your space, located under Site Visibility. What are we using for security? Click Generate API Key. A window will appear where you uncheck Enable DNS lookups on startup and click Proceed. It is NOT recommended that you change any of these settings. Usernames are unique identifiers in your profile, and in URLs. Display Names are customizable account names (usually your first and last name) that show up in all activity on the ePortfolio websites. For example, your Display Name is published when you leave a comment on a blog, if you author a blog post, or if you send a private message. Display names are not unique (for example, two people named John Smith may use “John Smith” as their Display Name). How do I load a picture of myself (an ||avatar||) for appearing in my profile and other areas? That’s it! 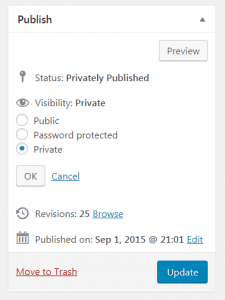 You should now be able to view your “Gravatar” on all your WordPress blogs. You cannot change your email. Your login credentials are dependent on your Capilano University credentials and must be synchronized with our system. When you change your password in the university system it will automatically update for your website. How do I log into (or get to the dashboard) of my website? From your ePortfolio homepage (eportfolios.capilanou.ca/yourname/), once you’ve logged-in, go to the dark gray navigation bar at the top of the screen. Select “My Sites > your ePortfolio> Dashboard”. How to remove the messages at the top of my Dashboard. When you first login to your website you will be landing on your Dashboard. You will see three notices at the top of the page. Click the link in the message and go to the bottom of the page. Click Save Settings. Click the small “x” at the right of the bar. This message will disappear. How do I change my website title? To change the title of your website go to the Settings tab in the administrative back-end and you will see a field for website title as well as a field for the site tagline, which is a space for a brief description of your site. Just type in a new title or tagline and save the changes. Is it compatible with the recent version of WordPress? How are the ratings based on comments are others having problems with it? Does it support the WordPress menu system, threaded comments that most users expect in a theme? If you have found a theme that meets the above criteria let us know about it by sending a request to webteam@capilanou.ca and we will take a look. You can change the look and feel of your website going to Appearance->Themes. What WordPress themes are available for ePortfolios? We have an account and full support with – https://www.elegantthemes.com/. With Divi, the sky’s the limit. This theme may be more suitable for advanced users. Explorable is a location-based theme that pins your posts on a map. Listings become part of a journey, and exploring your website has never been so fun. With the ability to create location-based listings, the theme becomes a great tool for building travel blogs, local business directories, travel guides and more. Combined with user star ratings, a full-fledged blog and a fully responsive design; the possibilities are endless! Origin is a stunning grid-based theme that tells a story through imagery. The theme creates a truly engaging experience by saturating the screen with your beautiful photos. The theme is also responsive, meaning it will look and work great on mobile devices as well. 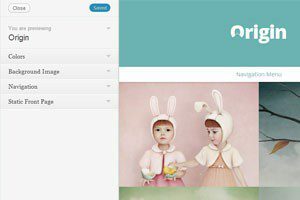 If you are an artist looking to showcase your latest work, or if you are a blogger looking to give your visitors a fun new way to browse your latest posts, then Origin is a great choice for you! Baskerville is a beautiful, responsive and retina-ready masonry theme for hoarders. It’s the perfect way to showcase your posts, videos, images and galleries, and share your favorite quotes and links. Features responsive design, retina-ready assets, full-width header image, support for all post formats, custom logo upload, custom widgets (video, Flickr and Dribbble), four-page templates (including a contributors template), editor styling, like functionality via the ZillaLikes plugin and translation-ready code. Blask is a modern portfolio theme that displays your work in a clean, minimal layout. The simple-yet-bold grid design keeps the spotlight on your projects, and scales to fit any screen size. Blask comes with a beautiful blog page, perfect for sharing your thoughts and sparking a conversation with your visitors. Whether you’re an illustrator, designer, or photographer, Blask is the perfect canvas to showcase your creativity. Davis is a practical and clean Responsive WordPress theme created for General/Blog sites. Very easy to use with built-in theme options page. Choose from a couple different page templates. Theme fully supports mobile devices – you can be sure that your site looks and works great on mobile phones and tablets. Iwata is a clean, colorful and lightweight theme for bloggers. It features responsive design, great typography, the aside, quote and image post formats, editor styles, JetPack infinite scroll, custom accent color, custom background color and custom header image. Included translations: Swedish/svenska. Minnow is designed to put your social presence front and center by displaying your social links menu prominently below the site title and logo, so readers can easily find you on your favorite social networks. Spun is a minimalist, responsive theme that puts the emphasis on your content; extraneous navigation fades away to put your words and images front and center. The Columnist blends big, bold Typography with a minimalist principal to produce a truly attractive design. Twenty Sixteen is a modernized take on an ever-popular WordPress layout — the horizontal masthead with an optional right sidebar that works perfectly for blogs and websites. It has custom colour options with beautiful default colour schemes, a harmonious fluid grid using a mobile-first approach, and impeccable polish in every detail. Twenty Sixteen will make your WordPress look beautiful everywhere. Twenty Seventeen brings your site to life with header video and immersive featured images. With a focus on business sites, it features multiple sections on the front page as well as widgets, navigation and social menus, a logo, and more. Personalize its asymmetrical grid with a custom colour scheme and showcase your multimedia content with post formats. Our default theme for 2017 works great in many languages, for any abilities, and on any device. How do I configure my theme? Activate it from within the Appearances > Themes tab. For each post, you can define an image that will be displayed along with your content on Posts and Category pages. Thumbnail images (aka Featured Images) are added using the “Featured Image” option within your WordPress Dashboard. Whenever you create or edit a post, look for the “Featured Image” box. This box will be located to the right of your text editor or below your text editor depending on the size of your screen. Click the “Set featured image” link and upload the image that you would like to use. Once uploaded, scroll down and select “Full Size” as your image size, and then click the “Use as featured image” link. This image will now be used as your Thumbnail image for the post. Important Note: The WordPress thumbnail function re-sizes the image you upload based on what thumbnail sizes are needed for your theme. Each time you change a theme, you may need to re-generate these thumbnails so that they fit your new theme correctly. You can use the Regenerate Thumbnails plugin each time you switch themes to re-generate your thumbnails. After enabling this theme, you should run this plugin to update all of your old thumbnails to avoid design inconsistencies. You can define your own logo image from within the ePanel theme options page in your WordPress Dashboard. Within ePanel, under the General Settings > General tab, locate the “Logo” field. In the field, input the full URL to your logo image. You can use the “Upload Image” button below the field to upload your logo image if haven’t already done so. After uploading, copy and paste the URL to the file into the field and click “Save” to save your ePanel settings. The header/call to action to comprised of 4 elements. Logo Image – Your logo image is defined as outlined above. Once defined, your logo appears first in your header. Website Description – Your description, displayed below the logo in a red bar, can be adjusted via the “Settings > General” tab in your WordPress Dashboard. Call To Action Button – Your call to action button can be adjusted within ePanel. Click “Appearances > Theme Options” and locate the “Call to Action Button Url” and “Call to Action Button Text” options listed under the General Settings tab. Header Background Image – Your header background image can be adjusted via ePanel. Click “Appearances > Theme Options” and locate the “Header Section Custom Background” setting. Click the “Upload Image” button to upload and define a new header image. Projects give you a way to showcase your recent work. When a new project is added, it is displayed on the homepage within a grid-based gallery. To add a new project, you can use the “Project” custom post type. After you activate a theme, you will notice a new “Projects” tab has been added. Click Projects > Add New to create a new project. You can add an image to your project using the “Featured Image” link (more info on adding Featured Image above in the “Adding thumbnails (aka “featured images”) to your posts” section). 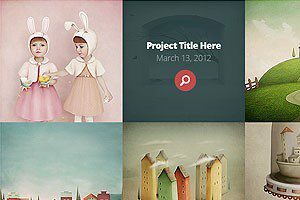 You can also add galleries to your projects using the standard WordPress Gallery function. To add a gallery to your project, click the “Add Media” icon above the text editor. Next click the “Create a Gallery” link and select the image you would like to add. Once selected, click the “Create A New Gallery” link, followed by the “Insert Gallery” link. The featured slider can be set up using two different methods. You can either populate the tabs using Pages, or you can populate it using posts from a designated category. In the Appearances > Theme Options page in wp-admin, under the General Settings > Featured Slider tab, you will see an option that says “Use Pages.” If you select this option then pages will be used, if you don’t then posts will be used. If you want to use Pages then you simply select “Use Pages,” and then below the option select which pages you would like to display in the slider. If you don’t use pages, then simply select the “Featured Category” from the dropdown menu and posts from that category will be added to the slider. You should also define an image to be used for each page. To add an image to your slider, edit any Post/Page in your slider and add a featured image using the “Featured Image” link to the right of your text editor, or by using the Thumbnail Custom Field as outlined in the “How do I add the thumbnails to my posts? ” section above. To add a new testimonial, you can use the “Testimonials” custom post type. After you activate your template, you will notice a new “Testimonials” tab has been added. Click Testimonials > Add New to create a new testimonial. The body content of your post will be used as the testimonial quote. You can add a photo to your testimonial using the “Featured Image” link (more info on adding Featured Image above in the “Adding thumbnails (aka “featured images”) to your posts” section). You can add members to your team using the “Team Members” custom post type. When you create add a new team member, that person’s bio will be added to your homepage and within the Team Page Template. To add a new team member, click “Team Members > Add New.” The content of your post will appear on the Team page as the member’s bio. Adding A Photo – Each team member needs a photo. To define a photo for your team member, simply define a “Featured Image” for the post (more info on adding Featured Image above in the “Adding thumbnails (aka “featured images”) to your posts” section). Adding Skills – Each member bio can include a list of skills. When you create a new Team Member custom post type, you will notice some additional settings below the text editor called “ET Settings.” To add a new skill, click the “Add Skill” button and then fill in the name of the skill and a percentage of expertise. You can also define a “position” for each member, such as “Web Developer” (or whatever position the member fills within your company). Creating A Team Page – Once you have added some team members, you next need to create a Team page. To do this, simply create a new page and select the “Team” page template from within the “Template” dropdown menu to the right of your text editor within the “Page Attributes” panel. Once published, this page will display a bio of all your team members. Below your Page title on each page can be added a unique page description. This description is placed within a colored box just like your website’s description on your homepage. To add a description to a page, you must create a new custom field with the name “Description” (make sure to use a capital D). In the Value field, input the text that you would like to use for your description. 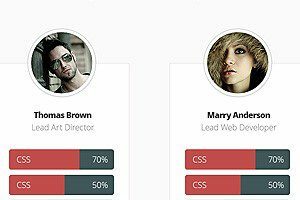 Some templates use the WordPress Theme Customizer interface to allow you to adjust your theme’s colors quickly and easily. To use the Theme Customizer, click the Appearances > Themes > Customize link. This will launch the customizer along with various color options. All of our themes come with a comprehensive collection of shortcodes. These shortcodes allow you to use pre-made design elements to create advanced page/post layouts without any HTML knowledge. When you install the theme, you will notice that some new buttons have been added to the WordPress text editor. Clicking these buttons will reveal options for adding shortcodes to your post. All of our themes come with a collection of page templates that can be used for a variety of purposes. You can apply each of these page templates to any page that you have created. When you edit a page in wp-admin, you will notice a Templates dropdown menu to the right of the text editor. Here you can select from a list of available page templates. Once a template is selected, additional settings will appear in the “ET Page Templates Settings” box below the dropdown menu. How do I add a user to my website? To add additional users to your website go to your left side panel under Users->Add New. Enter the email address or username of an existing user on this network to invite them to this site. You can select the role type and choose whether to send that person an email asking them to confirm the invite. Create a brand new user and add them to this site. Enter the Username and email of the new user. You can select the role type and choose whether to send that person an email asking them to confirm the invite. This is an important terminological/conceptual distinction to grasp, as posts and pages serve radically different functions. A post is an article that shows up in the chronology of your blog. In other words, posts appear in your website, most recent at the top of the page. A page is what most folks may be more familiar with. This is a static space that is not part of the chronological logic of the website. A page sits outside of this inverted timeline, and often features more static content like information about the site, the author, a syllabus, readings, etc. A beautiful way to list your events in WordPress and easily share them with the rest of the world. Our calendar system combines clean visual design with a powerful set of features to create the most advanced calendar system available for WordPress. Create simple Coming Soon and Maintenance Mode pages. Work on your site while visitors see a “Coming Soon” or “Maintenance Mode” page. Designing and organizing your posts has never been easier. With our large collection of shortcodes, you can create beautiful and complex layouts with ease. This will greatly improve the functionality and variety of your content without the frustration that comes with learning advanced web development techniques. This Google Analytics for WordPress plugin enables you to track your site using the latest Google Analytics tracking code and allows you to view key Google Analytics reports in your WordPress install. The best Instagram widget for your WordPress website or blog is now here! Built by one of the world’s largest Instagram browsers INK361, this comprehensive widget that can showcase your Instagram account in the way you want with comprehensive customisation features. Choose from over 20 social sharing networks to display on your website. Add and arrange any number of available networks to create a custom collection of sharing options for your visitors. oEmbed is a powerful protocol that allows sites to automatically embed content from 3rd parties directly into their site in whatever way they choose. 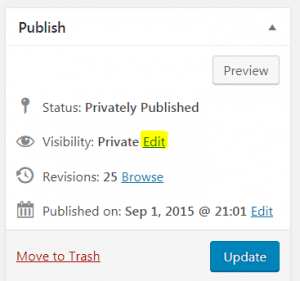 WP Edit adds extensive, additional editing functionality to the default WordPress editor. Begin creating content like the pros; without knowing a single bit of HTML or CSS. Can I add more options to my text editor? Yes, you can customize the text editor by going to WP Edit in the Dashboard menu. You can drag and drop the buttons you want to use. Formats and Paragraph menu will allow you to use Heading for a better Search Engine Optimization (SEO) result. It will also be consistent with your theme’s look and feel. For “Best Practice” do not use U because every underline on a website represents a link. We don’t want to trick our users into clicking on a false link. Please see WP Edit Buttons Guide for all you need to know about setting up your text editor. What does wpautop do to the line spacing of my text? Part of the logic of a website is allowing people to comment on your work. Comments are often associated with posts (as opposed to pages- see an explanation of this distinction above) and offer a way to have a discussion about a particular post. Often times, initial comments are placed in a moderation queue until you approve them. Once you approve a comment from a user, he or she should be able to comment freely thereafter. You can view the comments on your website as well as those awaiting moderation in the Comments tab in the back-end of your website. If you want to change the permissions for your comments- say allow anyone to comment without moderating- see the Settings tab and look for the Discussion subtab. This is where you can control the comment settings. Keep in mind that comments are extremely vulnerable to spammers. IT Services at Capilano has activated two plugins prevent spam one being reCaptcha and the other being Akismet. reCaptcha will force users to enter a randomly generated captcha code to post a comment. Akismet will filter spam that may get through this method. This will be placed under Comments->Akismet Spam for you approval or disapproval. Can I change the chronological order of my comments? Comments should be displayed with the (select option: older or newer) comments at the top of each page. To make your front page a static page rather than a blog you need to create a static page that you would like as your front page. Then go into the Options tab and then click on the Reading subtab. Once you do this you will see the following: Instead of having the front page display your latest posts, select the radio button that says “static page” and select the page you created for the front page. Additionally, you can create another page where you would like your blog posts to appear. This is extremely useful when you would like to create a resource more akin to a traditional page rather than a blog, while maintaining the functionality of both. You can easily upload documents, such as a course calendar or syllabus, into a post or page. Doing this is relatively straightforward. Go to Write → Post (or Page) and look for the “Add media” button that looks like a gray asterisk. When you click on that button, a dialog box will appear offering you the option to upload a file from your hard drive, or to link directly to a file that is already online. Once you have located your file (whether on your hard drive or online) click on the “Upload” button or “Insert into Post” button, respectively. If uploading a file from your hard drive, you will get a dialog box asking you to title the document, as well as to provide a caption and description (both of which are optional). Once you are done, click on the “Insert into Post” button and you are done. As with documents, you can easily upload and insert an image from your hard drive into a post or page. Go to Write → Post (or Page) and look for the “Add Image” button that looks like a picture canvas immediately following the “Add Media” title as pictured below. When you click on that button, a dialog box will appear offering you the option to upload an image from your hard drive, or to link directly to a image that is already online. Once you have located your file (whether on your hard drive or online) click on the “Upload” button or the “Insert into Post” button, respectively. If uploading an image from your hard drive, you will get a dialog box asking you to title the image, as well as to provide a caption and description (both of which are optional). Once you are done, click on the “Insert into Post” button and you are done. You are probably out of space. Contact us and we can add more (within reason). If you are uploading video or sound files please use a YouTube, Vimeo, SoundCloud or similar external accounts. See instructions on how to do this below. We currently have limited amount of upload space per user. This will not be enough if you are uploading large pdf files, videos, or images. It may be preferable to use an outside service that you can integrate with ePortfolios such as Flickr for your photos, YouTube for your videos, SoundCloud for your sound, or DivShare for your files. This is probably the best practice, because if you ever want to move your blog to another service you will have persistent links to documents and images that you will not have to update to the new blog URL. How do I embed sound? Read SoundCloud’s Getting Started for all you need to know about using their services. How do I export and or import my existing blog to my ePortfolios? See the exported .xml file in your downloads folder. Once you’re done here, you will be taken to a page that will ask you to map authors. If you are importing a blog with numerous contributors, you may want to allow each author to be associated with their respective blog posts. After that, click the “submit” button and the import should begin immediately. One more note of caution: Depending on your blog application, you may not be able to import pages, links, and theme customization. If you need further help with this, please contact us and we’ll get back to you shortly. A feed is a way to subscribe to website posts, comments, etc. You can subscribe to a feed use an RSS reader such as Feedly or Digg Reader. To find out more about this RSS thing click here. In WordPress all RSS feeds are available via URL, you can have feeds for all posts or for specific categories or tags on your site. More info on WordPress feeds here. Google Analytics is setup for the ePortfolio webiste as a whole. All site administrators will have a Google Analytics module set up on their Dashbood. Your internet browser’s cache stores certain information (snapshots) of webpages you visit on your computer or mobile device so that they’ll load more quickly upon future visits and while navigating through websites that use the same images on multiple pages so that you do not download the same image multiple times. Occasionally, however your cache can prevent you from seeing updated content, or cause functional problems when stored content conflicts with live content. You can fix many browser problems simply by clearing your cache. This article contains instructions with screenshots on how to clear the cache for all major browsers. – Multiple Authors. “How to Clear Your Browser’s Cache.” WikiHow. WikiHow, 01 Jan. 2013. Web. 09 Jan. 2015. http://www.wikihow.com/Clear-Your-Browser%27s-Cache. Learn more on how to clear your browser’s cache (multiple browsers). – Multiple Authors. “How to Clear Your Browser’s Cookies.” WikiHow. WikiHow, 01 Jan. 2013. Web. 09 Jan. 2015. http://www.wikihow.com/Clear-Your-Browser%27s-Cookies. Learn more on how to clear your browse’s cookies (multiple browsers). Some of this content was originally created by Jim Groom at the University of Mary Washington and the The Academic Commons of The City University of New York. The content is distributed under the Creative Commons Attribution-Share Alike 3.0 Unported License. Thank you to UBC’s Centre for Teaching, Learning and Technology, Novak Rogic and Randell Ong, for allowing us repurpose your support blog content. Use white space to help improve visual hierarchy of your website. Grouping content together can help draw attention to the important areas of the site and help people find what they're looking for. When possible, use bullet points to structure your content. Bullet points are often concise and easier to scan.